Peanut Butter Chocolate Chip Banana Muffins! The name might be a mouthful but I can promise you that these muffins are even better. Perfect for a special sweet treat in the morning or dessert at night. 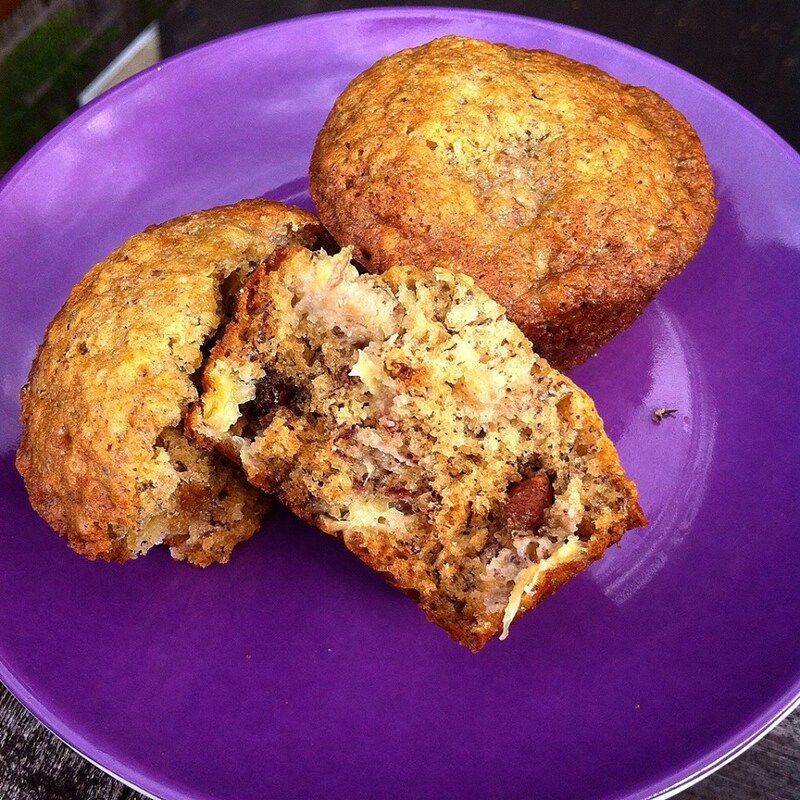 These are multi-functional muffins people! Get em while they’re hot! I got this recipe from the Flour cookbook by Joanne Chang. I can personally attest to this recipe after having worked for Joanne for the past year. I did change just a few little things however, to make it my own! So here you have it! 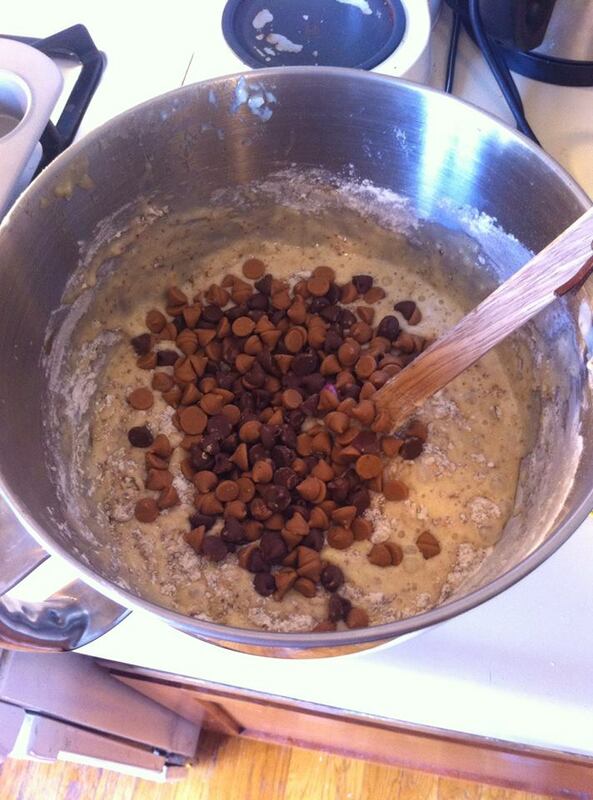 **For this recipe, I added flax seed, used half brown sugar half white and added chips! 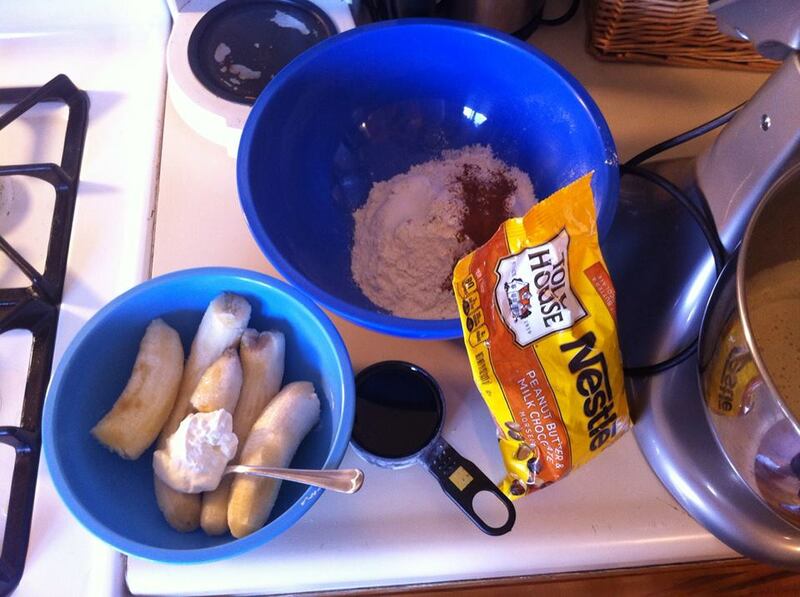 Without these, you can easily make plain banana bread! Sift together the flour, baking soda, cinnamon, salt and flax seed. I used a fork to “fluff” the ingredients if you don’t have a sifter at home! 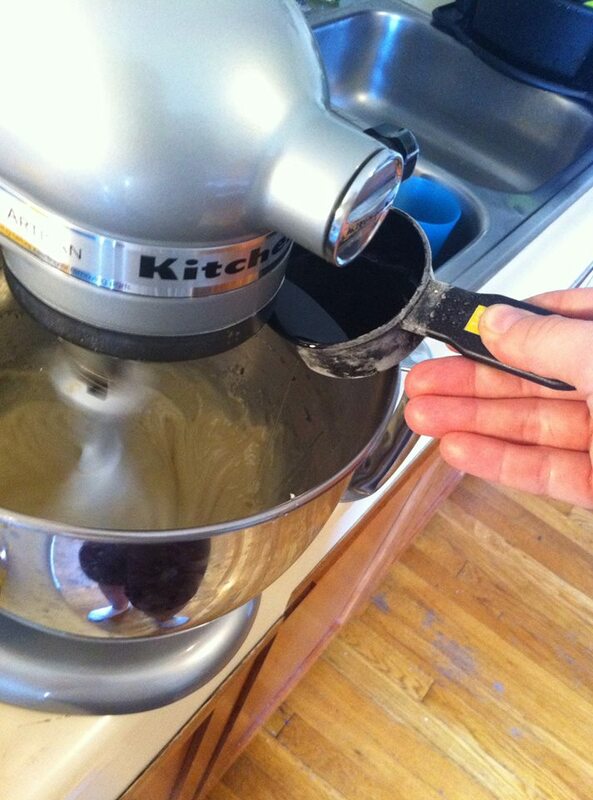 3.Using a stand mixer, whip the sugar and eggs on medium speed until they become light and fluffy. 4. 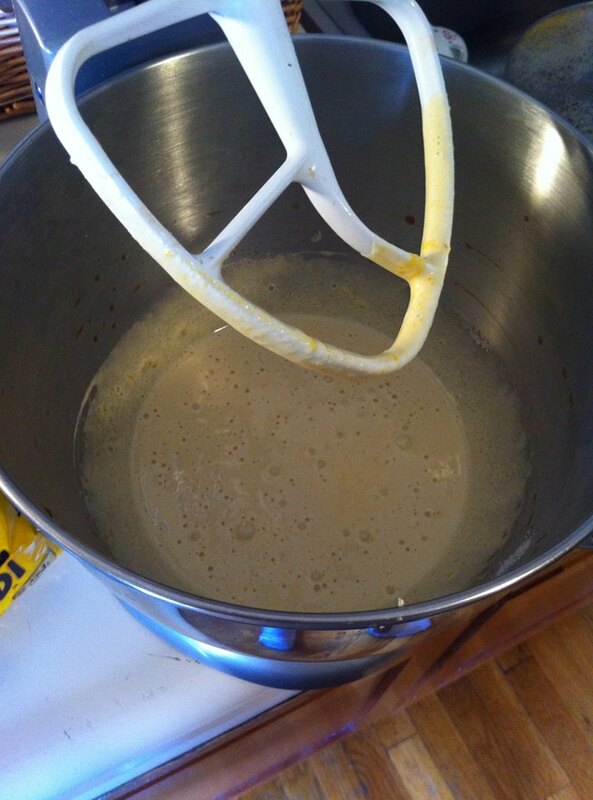 On low speed, drizzle in the oil so it has time to incorporate itself into the egg mixture. 5. Add the bananas, creme fraiche/sour cream and vanilla and mix until the banana is broken down into fairly small pieces. This should only take about a minute or less. 6. 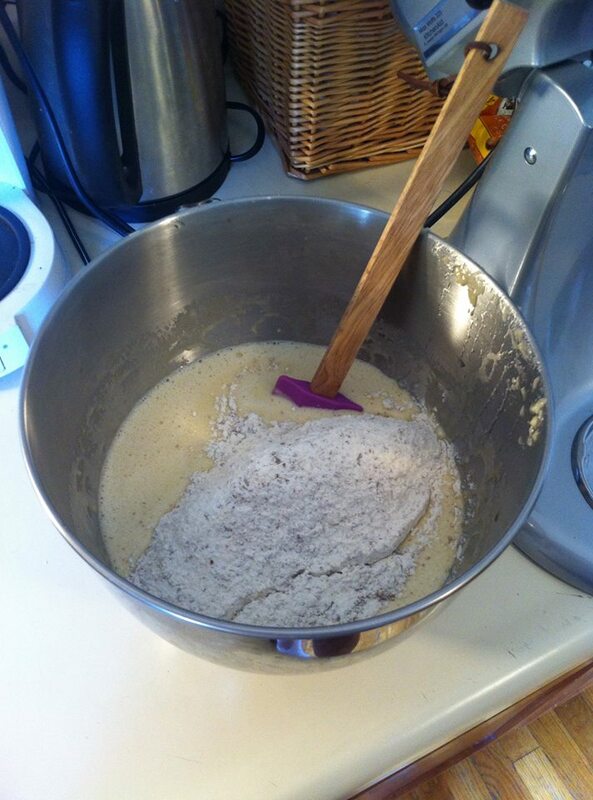 Using a spatula, fold in the flour mixture by hand. Right before all of the flour is completely incorporated, add 1/2 bag of chips and mix only until combined as to not overmix. 7. Only mix just until there aren’t any flour streaks left. 8. 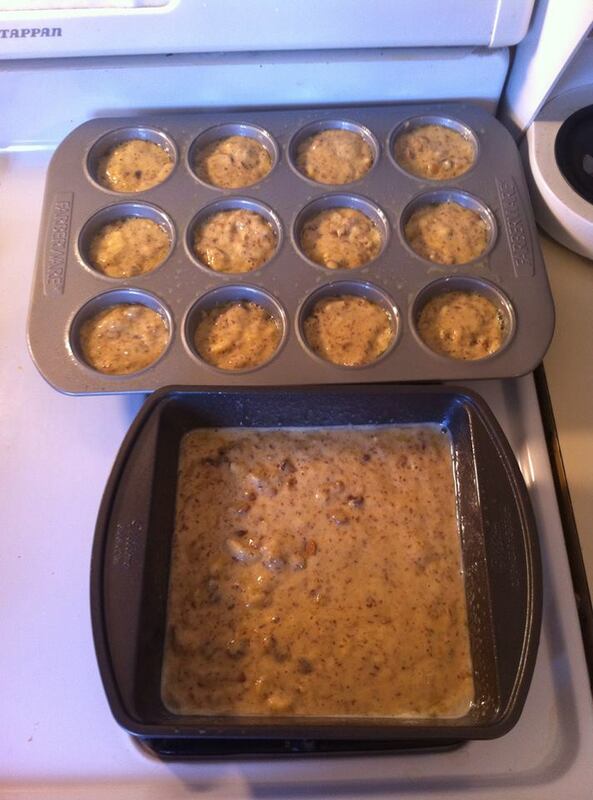 Portion the muffins about 3/4 full and bake until golden brown (about 15-20 minutes). You can also bake this full batch in a loaf pan but it will take much longer to bake in the oven! 9. Wait until the muffins cool and VOILA! A delicious treat for any time of day. Let me know if you try this at home! Does anyone have any recipes they want to share or would like me to share? Have a good weekend and enjoy your muffins! Be sure to return on Tuesday for another blog post! Yum!! These were so good! !